Fruitful florals. Auspicious cranes. The tale of Dutch Tulips. Discover what’s hidden undercover in these three symbolic works of art with these zip pockets. Glamazon gold. Sparkling silver. Radiant golden rose. The magic of metallic. Tote your valuables and invaluables like a super-hero with this super-power filled Matt Silver tote bag. Glamazon gold. Sparkling silver. Radiant golden rose. The magic of metallic. Tote your valuables and invaluables like a super-hero with this super-power filled Matt Gold tote bag. Glamazon gold. Sparkling silver. Radiant golden rose. The magic of metallic. Tote your valuables and invaluables like a super-hero with this super-power filled Matt Rose Gold tote bag. Magical mountains. Lush layers of leaves and trees. Listen to the chirps and chatter of flora and fauna as day turns to night in HVASS&HANNIBAL's Birds tote bag. Shinpei Naito is a cutting edge Japanese artist and graphic designer, whose collaborations have led him to the arms of Adidas, MCM and Asics. Graphic Giraffes. Fabulous flamingos. Zigzags of zebras. Wander with eyes wide open into the wonderful world of the WILD collection with the Flamingos tote bag. Graphic Giraffes. Fabulous flamingos. Zigzags of zebras. Wander with eyes wide open into the wonderful world of the WILD collection with the Zebras tote bag. 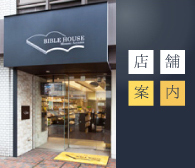 バイブルハウス南青山 Copyright (C) 2011 BIBLEHOUSE Minamiaoyama. All Rights Reserved.